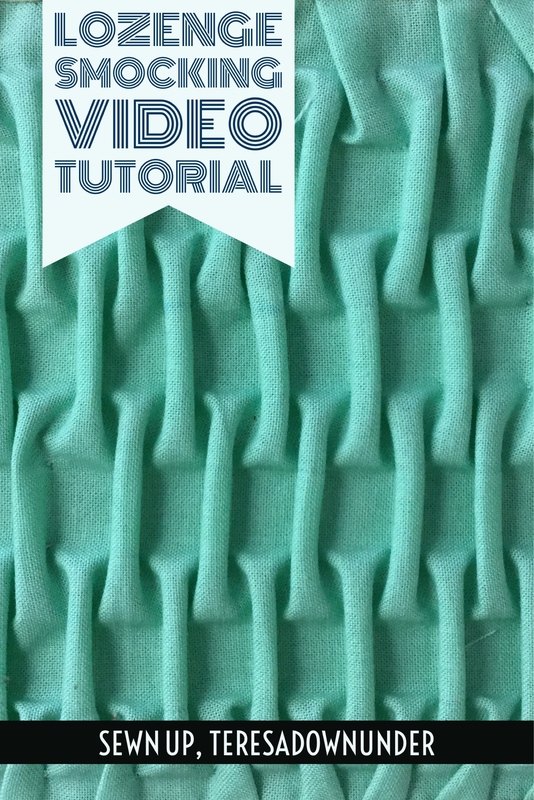 This is a fabric manipulation tutorial that I used for a fidget quilt: lozenge smocking. 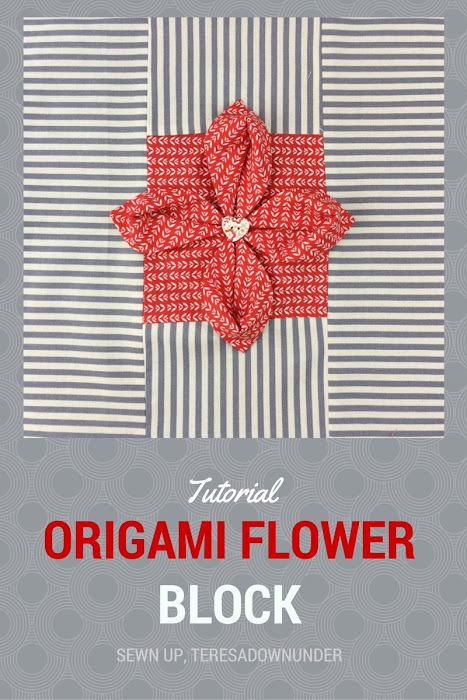 Get the full details on this flower, fabric needs and the like. 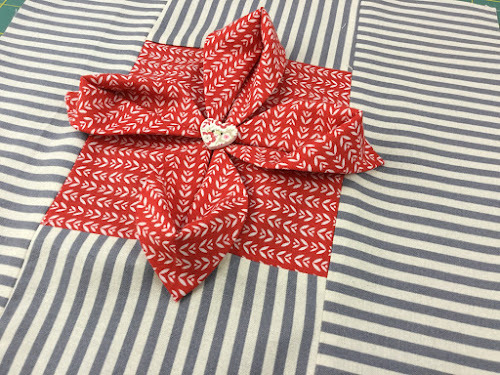 Get the full details on this pinwheel flower, fabric needs and the like. 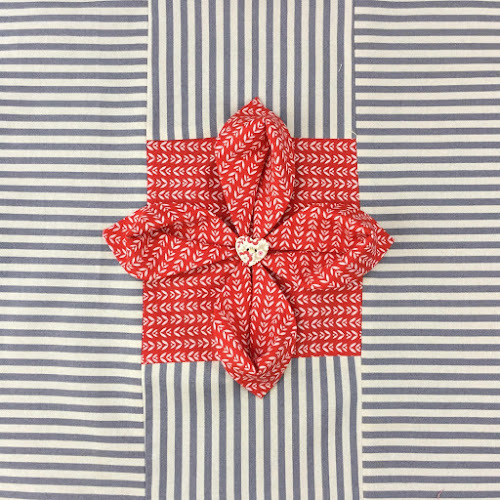 a 10 1/2 inch square in red tones for the centre square. 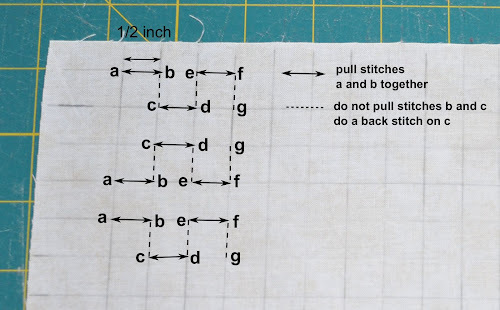 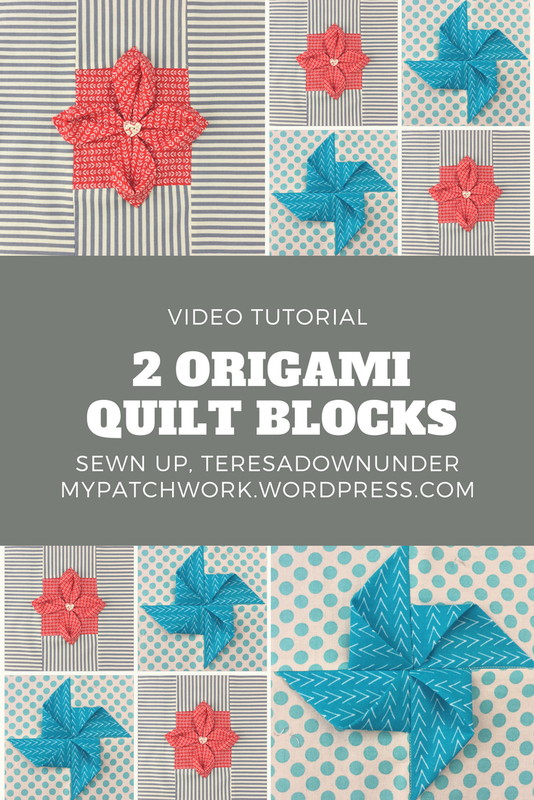 You add this block to your quilt as a feature or make a full quilt with this block. 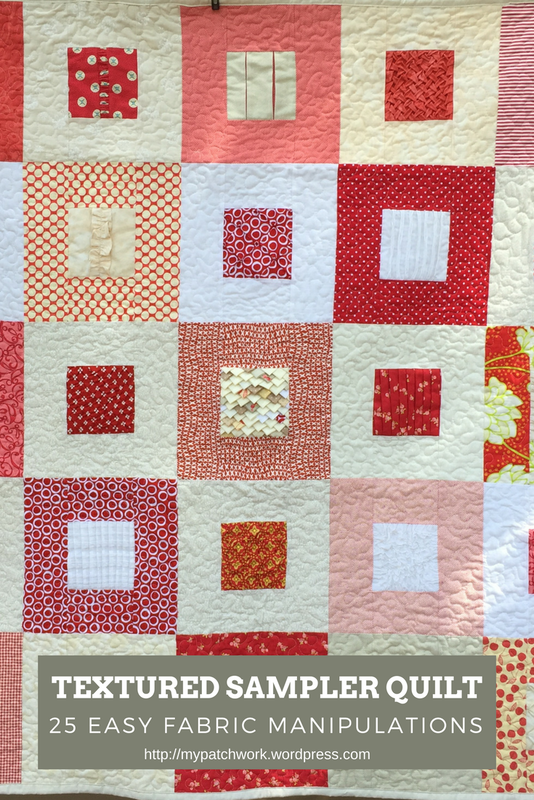 This is the 20th block in a series of 25 exploring texture in fabric.